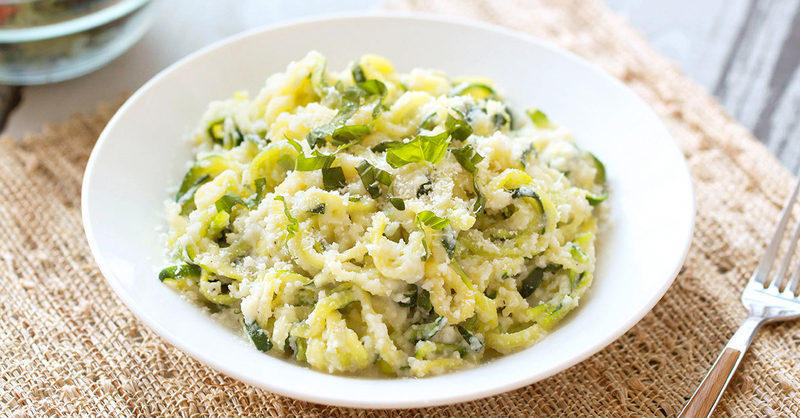 Using a spiral vegetable slicer, cut zucchini into spaghetti-like noodles. (If you don’t have a spiral veggie slicer, peel zucchini into thin strips, rotating the zucchini after each strip.) Roughly chop for shorter noodles.